This premium version presents a very bright, wide and even extensive beam pattern with 80 Lux. The version offering maximum safety. 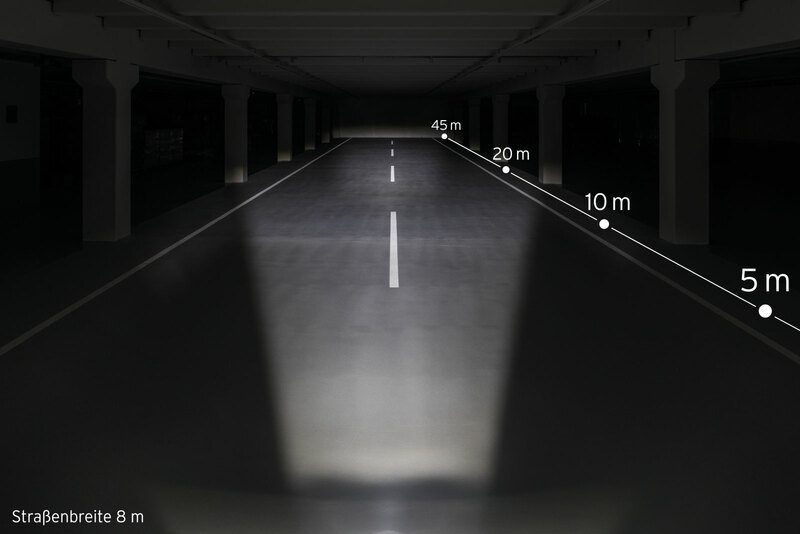 With daytime running light LICHT24: Six additional signalling LEDs shine beneath the main IQ LED. The standlight function is fulﬁlled by two signalling LEDs.